Today we are going to talk with Beth Kephart about writing memoir. 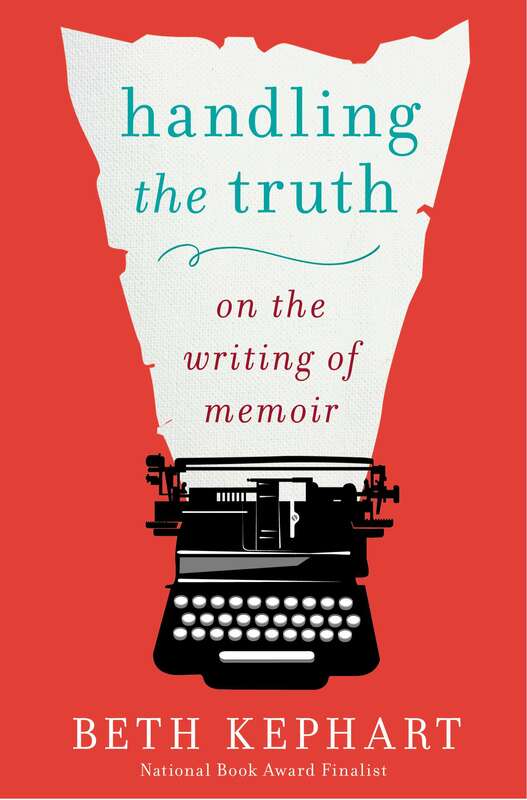 Beth is the author of Handling the Truth: On the Writing of Memoir published this year by Gotham Books. She is the author of five memoirs, one of which was a finalist for the National Book Award. 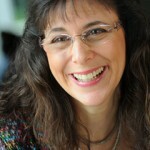 Beth teaches creative non-fiction at The University of Pennsylvania. Andy: Beth, there are a lot of books out there about the art and craft of memoir writing. Why did you decide to write Handling the Truth? Beth: Handling emerged somewhat despite myself. I was full of this love for the young people I meet and teach; I wanted to celebrate them and what they taught me. I grew intent, too, on sharing my thoughts about the many memoirs that have inspired and instructed me and to liberate this much-tarnished form from some of the damaging mythology. Finally, I felt compelled to save others from the mistakes I’ve made, and to offer cautions. Andy: Let’s start with the basics. What’s a memoir? Or to clear up a prevailing misconception, how is memoir different from autobiography? Beth: I think it’s so much easier to define memoir by what it’s not, which of course I do in the opening pages of the book. Memoir is not a chronological recitation of a life. It’s not therapy. It’s not an accusation. It’s not a boast. It’s not fiction. It’s not gossip. Memoir is a search to understand the human condition—to tell a personal, resonating story. Memoir writers look back with empathy—toward themselves and toward others. They fabricate nothing on purpose. They know what to leave out. And they recognize—explicitly and implicitly—they are not the only ones in the room. Their readers matter, too. Andy: In my work as an agent, I get pitched a lot of memoir. There seems to be an endless number of projects dealing with dysfunctional families, surviving cancer, interesting travels to exotic places, and the like. You mentioned in the book that Neil Genzlinger called memoir “an absurdly bloated genre.” And my experience with publishers is that they are pretty cynical about these well-mined themes. Aside from an appreciation of good writing style, do you really believe there’s anything new and important to say about some of these overworked subjects? Beth: I think we have to stop imprisoning memoirs in marketing categories. The minute we start to think that we are writing an illness memoir, say, or a grief memoir, is the minute that we’ve lost sight of the bigger possibilities of the personal story. It’s never just about what happened. It’s about what it meant. Memoirists must continue to look for new structures, new ways of asking and answering the big questions. Look at what Joan Wickersham does in The Suicide Index, for example. That is a book about the aftermath of a father’s suicide. And it is a story you’ve never seen told like that before. It’s a story that makes you think newly on a familiar topic, precisely because Wickersham has been inventive with structure and smart about elisions and inclusions. In the end, someone will categorize Wickersham’s book as a suicide memoir—perhaps. But it’s clear that she wrote it with bigger ambitions in mind. It’s clear that she was not suffocated by a label. Andy: You speak at length in the book about honesty in writing memoir. There’s a tension between telling your story accurately and shaping a story that is artistically true and aesthetically pleasing. Can we really remember a dialogue that took place twenty years ago. Do we really recall our feelings about visiting Gramma’s house for the first time? How much are memoirists permitted to invent? Or maybe just fudge a little bit? Beth: I’m a pretty big stickler for telling the truth, as much as possible. I don’t believe in the deliberate fudging of facts, the rearrangements of time, the reassignments of characters, the remapping of locales. You start making it up on purpose and you’ve lost the heart of the matter. Memoir writing is, in some ways, like writing a villanelle or a sonnet. You are bound by the rules of what happened, by what you remember, by what you can research (don’t forget, memoir writers, about the power of research to help support the telling of story). The truth constricts your work. It also shapes it. Find a way. Don’t make it up. And when you don’t remember, just say so. Your credibility matters. Andy: Sometimes I tell an author that their memoir might work better as a novel, a roman á clef. But writing a novel is very different from writing memoir. Do you have any advice to writers who are undecided about which path to pursue? Beth: Read books that fall on both sides of the line. Vaddey Ratner, in writing In the Shadow of the Banyan, recreated her childhood but also gave herself room to change some of the personal details. Everything in that book comes from a known experience, from something lived throughout the Cambodian genocide. And yet Banyan is a novel. Ratner never lies, but she still writes from a pure, authentic place. Writing fiction is just as important and personal an enterprise as writing memoir (I write both). But be clear about what you are doing. Count the trade-offs and decide. 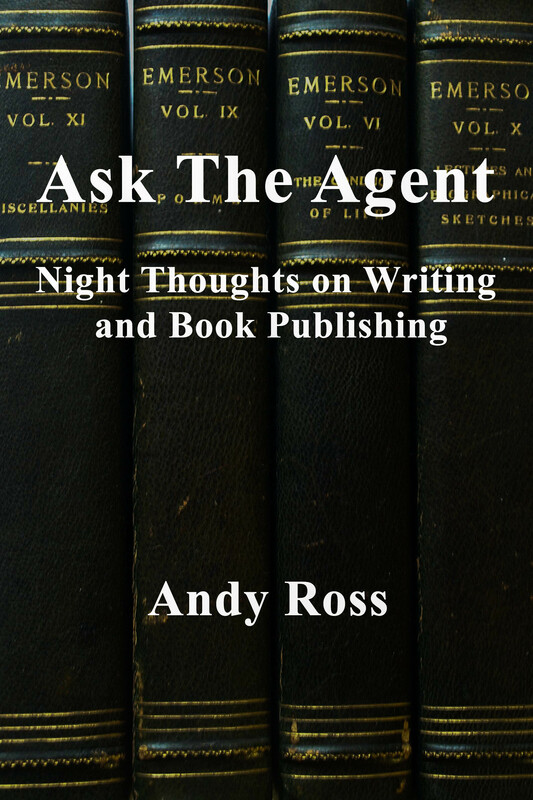 Andy: But even if you are writing memoir, the story has to be compelling or else no one will read it. When I get a rejection from an editor (which happens far too often), one of the standard explanations is that there is no “narrative arc.” Well, real life doesn’t always correspond to a classic 3 act narrative structure. What’s a memoirist to do? Beth: Stop thinking chronologically. Chronology can be—not always, but sometimes—the death of memoir. It locks people into saying this happened, this happened, this happened. It can be claustrophobic. Be inventive. Study Howard Norman or Rebecca Solnit. See what they make of their lives. See how they selectively shape the interesting stuff and leave out all the filler. Andy: In my work with authors, particularly those who write memoir and fiction, I’m always amazed at how little perspective they have. Characters and scenes that have been living in the heart and mind of the author for years may leave the reader cold. And as you said, the reader is always in the room. I tell my clients that the reader is king and is usually unforgiving. If the first page is boring, the reader will throw the book down and never pick it up again. That seems particularly challenging to memoirists. After all, everyone’s life is a hero’s journey. Why should we care about someone else’s? Beth: We only care if it speaks to us in an inclusive fashion. We only care if the right questions have been asked. The celebrity memoir is often exclusionary, and in fact, the celebrity memoir is often (not always!) not a memoir at all but an autobiography. Patti Smith and Diane Keaton are celebrities, but they’ve written true memoir—they’ve made their life stories relevant to the rest of us by wondering out loud about the nature of love, the nature of relationships, the nature of fidelity to another. Edna O’Brien is a celebrity author, but her “memoir” is less a memoir than a recounting of events and famous people/places. We are all just people in the end. A memoir’s purpose is to lower gates and open doors. Boring books are self-inflating, self-congratulatory, and, ultimately, self-isolating. If we are boring someone at a cocktail party, we are also likely boring them with our memoirs. Andy: You write a lot about style in memoir. You have, for instance, a whole chapter on weather. I’m sure you’re aware of the fact that writers seem to look down on the weather these days. Edward Bulwer-Lytton’s immortal “It was a dark and stormy night” is often considered the worst first line in all of literature. Were you trying to tweak a few noses at the literary snoots when you wrote that chapter? Beth: I’m not writing about style so much as writing about ways of remembering our lives. Too often people stare at the events of their lives and don’t stop to think about the ambiance or mood, the meaning, the possibilities in all that “background” stuff. I’m not suggesting that memoirists go out and fill a book with storms and sunshine. I am saying, use everything you’ve got, every sense, to find your personal story. And then figure out what it means, and what is worth keeping. And sometimes weather will signify. And when it does, recognize the opportunity. Andy: You distinguish between real memoirs and “pseudo memoirs.” I’ve never heard that expression before. In your analysis a pseudo memoir is not the same as a bad memoir. Can you discuss this a little? Beth: Ha! I love the question. Pseudo memoirs are half steps toward the truth. They speak of lives that have not been fully explored, examined, wrestled with. Bad memoirs are bad memoirs. Badly written, badly structured, and published for the wrong reasons. Sometimes all a pseudo memoirist needs in order to write a real memoir is more time and more reflection. Andy: And here’s the $64,000 question: what’s your favorite memoir? Beth: Can’t do this! Handling the Truth discusses nearly 100 memoirs, many in detail. So there is the first memoir I loved (Natalie Kusz’s Road Song) and the one I most often teach (Michael Ondaatje’s Running in the Family) and the books I’m still discovering now (Howard Norman’s I Hate to Leave This Beautiful Place). But come to my house. See all my shelves and boxes. I’m in love with a lot of books. Thank you so much, Andy, for these thoughtful questions. I hope anyone who wants to learn more and to read about some memoirs that aren’t in my book (some additional exercises, some additional essays) will consider visiting my blog, www.beth-kephart.blogspot.com, or buying the book. Andy: And thank you, Beth. As I said earlier, in the business of book publishing, it’s pretty easy to get cynical and discouraged about memoirs. Every once in awhile, you need to remember about those great ones that changed your life. Your book was an inspiration. Oh, yes, and by the way, I just wanted to say that my last book deal was for a memoir. Yes!